We are available to assist you with any of your chiropractic needs. We are equipped to help you with a variety of services that will enable you to feel your best. Dr. Amber Baughn Tucei is well versed in the latest techniques, technology, and information when it comes to chiropractic treatment. Our goal is for you to not only feel better but able to enjoy life with flexibility and better mobility. This is the most common approach when it comes to treatment and involves spinal manipulation that most of our patients find familiar. This treatment involves thrusts by hand and the use of a table when necessary. 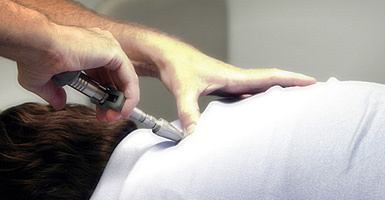 A hand-held tool that is known as an Activator is used to administer the chiropractic adjustment. 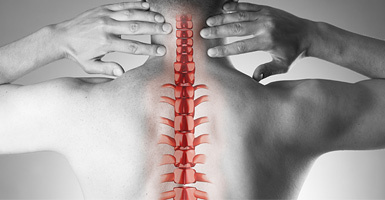 This particular technique will administer force to the spine that will enable the joints and vertebra to have motion restoration. 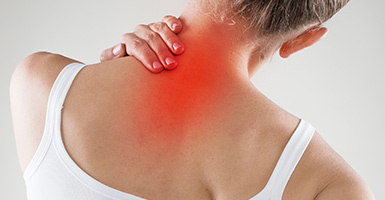 Allow our team to assist you with neck and low back spinal treatment. We use a non-surgical method known as flexion distraction technique that will help with disc bulges, disc herniation and even help to enhance your spine’s motion. The Impulse Adjustor, will help your spine’s function to be restored. The device allows chiropractors to work on many different parts of the body to alleviate pain and discomfort. There are so many different options for chiropractic treatments. One that we like to use is soft tissue techniques. Think of a massage and you’ll have the best example in mind. We administer a variety of depths, timeframes, and pressures in order to treat you. This technique often feels good and enables better function and mobility. Call In Line Chiropractic and Wellness Center today to schedule an appointment. We are standing by to take your call, answer any questions, and get you scheduled.